Just two days past Spring Equinox and Mother Nature has spring fever. The poppies are flourishing along with so many other colorful blooms and even after what has proven to be our driest winter, our hills are green. The sun is warm and my concentration is so poor; I had to ask for a deadline extension for submitting this month’s tip of the month. This month’s column has more than just one Sustainable Tip of the Month, but it’s a picnic – a smorgasbord of ‘Where to Find Sustainable Tips’. For almost three years, we have shared tips on everything from the benefits of biking, local food, sustainable landscaping to home energy diets, eco-travel, raising chickens and eco-friendly art supplies. 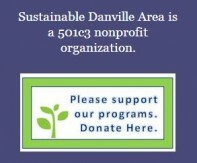 These articles are still available to you online from Danville Today News/Alamo Today News and on the Sustainable Danville Area website. Often, I’m asked to describe what sustainable living is and simply it’s ‘making choices that allow our resources to continue to be available for our children and their children’, ‘living as though there’s no Planet B’ and remembering that ‘Planet Earth is the only one with chocolate’. With this in mind and in honor of Earth Day, celebrated worldwide on April 22nd by hundreds of millions of people in over 184 countries, here are some of our favorite places for information and tips to care for our corner of this wonderful planet. Gardening: Hands down the Contra Costa Master Gardeners have it ‘going on’. These trained volunteers are residents of local communities that provide University of California research-based horticultural information to the citizens of California. Besides engaging local lectures, their website is filled with tips for school gardens, edible gardens and drought and native landscaping. Composting & Recycling: Central Contra Costa Solid Waste Authority offers terrific information on where to recycle just about anything. You’ll also find a calendar for composting workshops, including worm composting too. PG&E: Saving energy in your home is not just good for the planet, it’s good for your pocketbook. PG&E has great tools to track your electric and gas usage online and they make it easy to do a self-audit of your home energy to find and prevent energy loss. Environmental Working Group This powerhouse site is our ‘go-to’ place for everything from their cosmetic database, the Dirty Dozen list (which recommends the best fruits and vegetables to buy organic to avoid pesticides) and guides on sunscreens, home cleaners and other daily products. Want more? Well then, Picnic on the Green! 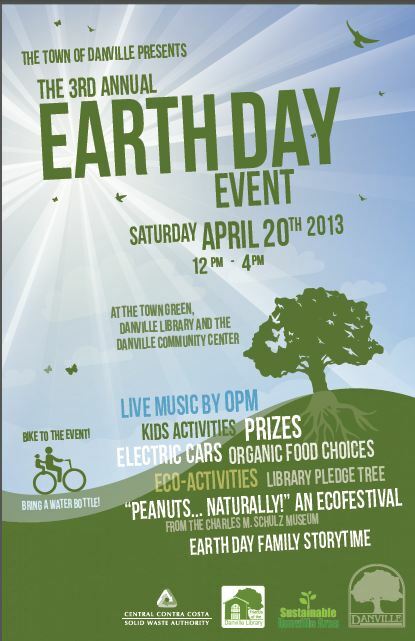 The Town of Danville, The Danville Library and Sustainable Danville Area present the 3rd Annual Town of Danville Earth Day Event on Saturday, April 20th 12pm – 4pm on the Town Green, in the Danville Library, at the community center and the Village Theatre Art Gallery. The Town of Danville Earth Day event is a free, fun and informative way for residents and visitors of all ages to learn about green building, sustainable landscape design, solar power, home energy efficient products, waste reduction, recycling, water conservation, hybrid and electrical vehicles and much more! Get ready to experience nature with Peanuts…Naturally! Fun, creative environmental crafts and activity stations presented by the Charles M. Schulz Museum. Plant a seed to start your summer vegetable garden with The Bounty Garden and Urban Farmers. Explore the Wonderful World of Worms and Composting for Busy People. 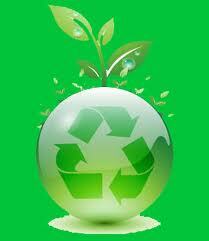 Make an Earth Day pledge to reduce, re-use or recycle. See how Every Choice Counts and help the Earth Day Tree grow! Everyone who adds a ‘leaf pledge’ will be entered into an hourly raffle to win a “Get Your Green On” reusable book bag. Afternoon speaker series will help you Green Your Home, Replace your Lawn with Drought Tolerant Plants and Enjoying Local, Organic Foods for a Healthy Planet. Be inspired at Story Time with special tales and eco-friendly ideas to celebrate the Earth all year. Measure your carbon footprint.Discover if solar energy is right for your home? Try new veggies from Community Supported Agriculture Farms – Full Belly Farms & Doorstep Farmers. Students from San Ramon Valley High School Environmental Club are hosting free bicycle parking for the event, so please consider two wheels or your feet as parking is limited for the event. Hope to see you there! This entry was posted in Cynthia Ruzzi, Cynthia's Blog, Danville Bicycling, Danville CA, Danville, Sustainable Communities, drought tolerant plants, eco-friendly activities, Family-friendly activities, Home Energy Reduction, Raffle, Sustainable Food, Sustainable Foods, TIP OF THE MONTH BLOG, Uncategorized and tagged 3rd annual Earth Day Event, CCCSWA Public Workshop, Cynthia Ruzzi, Cynthia's Blog, drought tolerant plants, Earth Day Event, Green Waste Food Composting, Local food, native plants, organic art supplies, Organic Food, Recycling in Danville, save energy, sustainable danville area, sustainable foods, Sustainable Landscape, TOWN OF DANVILLE EARTH DAY ART CONTEST, Town of Danville Earth Day Event, water conservation. Bookmark the permalink.